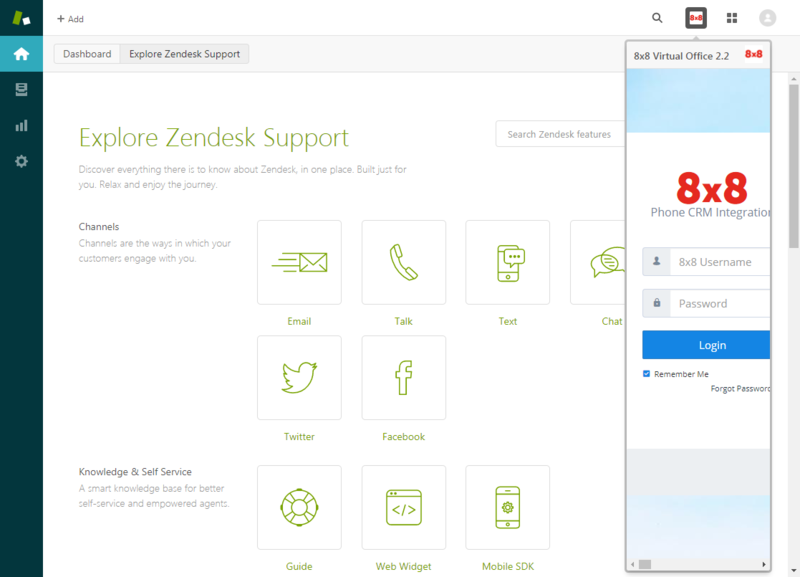 Once your administrator enables access to Virtual Office for Zendesk, you can log in to the integration at any time. In the Zendesk header bar, click the 8x8 app icon to launch the application. At the prompt, enter your Virtual Office extension credentials to log in to the app. The application opens as a panel in the Zendesk interface. You can quickly minimize or reopen the panel as needed by clicking the app icon in the header. Note: When you are on a call in Virtual Office for Zendesk, your status in the Virtual Office desktop app and Virtual Office mobile app changes to indicate that you are busy on a call.